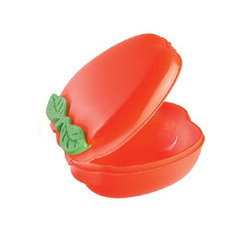 Our firm is deeply involved in the offering of best Half Time Plastic Lunch Box. Customers can avail these boxes from market in various sizes and shapes. Widely demanded by children and office going persons, these lunch boxes are reliable and can be obtained from market at minimal price. The Seal Pack Lunch Box provided by us is made using stainless steel and is known for its exceptional hardness. We take a pleasure to introduce ourselves as one of the best and respected Manufacturer and Supplier of HERWARE Lunch Box. These lunch boxes are highly demanded by Indian market for its quality and up to dated style. 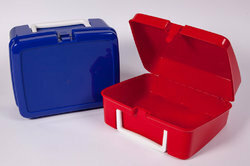 Our engineers fabricate these lunch boxes with the help of modern machines and quality assured raw materials.